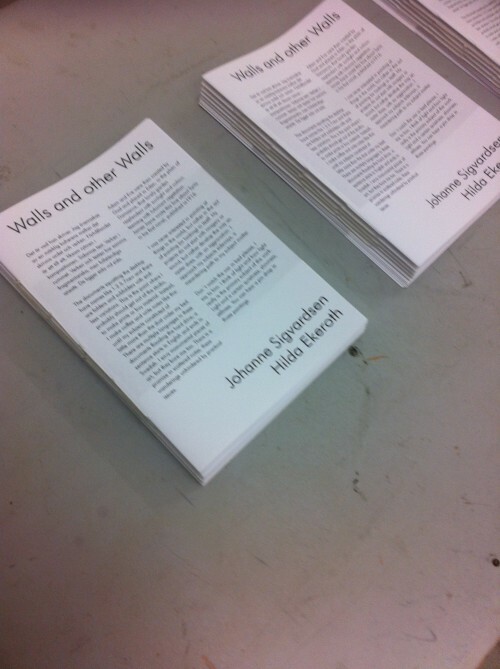 Exhibition booklet. Published in connection with the exhibition: Walls and Other Walls by Johanne Sigvardsen and Hilda Ekeroth in Ok Corral, Copenhagen 2014. 16 pages. Saddle-stiched, hand sewn. First print 30 ex.